The National Trust’s sport kit has been produced and is now available for Trust employees. Designworks designed a range of running, tri and cycling kit; produced by Champion Systems. The corporate colours provided a light green base colour which offers high visibility — ideal for evening and early morning runs and bike rides. 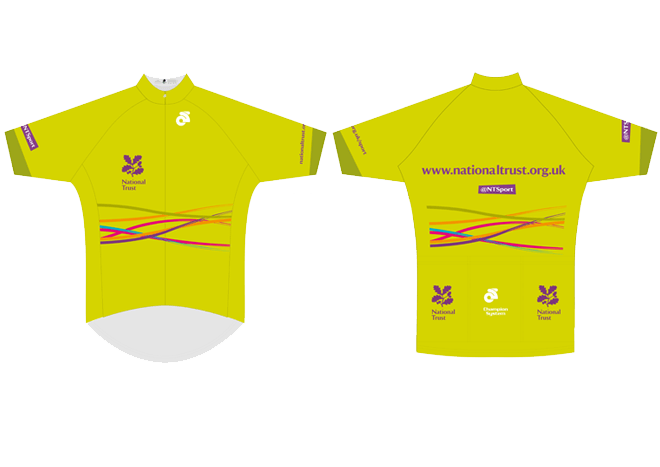 The design features the National Trust Sports’ coloured waves, web address and Twitter username. The custom cycling kit has a clean design which is really noticeable when out on the road.